We live in overwhelming times. The community in which I live and work is like many around the country, I suspect: full of people who are struggling all the time to balance a menu of activities, all of which seem important. Often when I talk to people, I hear from them about how overwhelming it all is. And, for some reason, I’ve been hearing that a lot particularly this fall. I would like to think that the church somehow stands out on this menu of activities as something other than just another activity to choose or not choose and somehow to balance with the rest. But, that’s not really the case. People like me, who “run” churches, are just as keen to offer a menu of options in the church’s name and attach some importance to people choosing them as are people who “run” other organizations and institutions. In other words, the church can look pretty much like the rest of life, and people can become just as burned out on church as they can on other things. And when you live in Northern California, it’s tempting just to walk away from things and go for a bike ride to the ocean. It may initially seem unhelpful to say this, but when life seems overwhelming just because of the sheer complexity of it all, one of the most important things we can do is take advantage of what the church, at its heart, is really there to offer: spiritual practice — in the form of worship, prayer practices, and community. Now, I want to be very clear about something: I’m not talking about church activities, though these certainly have an importance and a place. 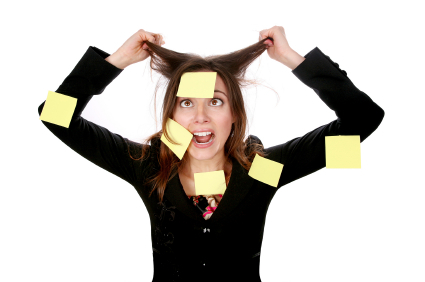 But when we’re feeling overwhelmed, adding another church activity probably won’t help. But maintaining a spiritual practice — Sunday worship, or a Centering Prayer ritual, or something similar — can provide us with a space to take a breath. And not just any breath, but a breath from the soul. And that breath can help ground us in God, and ground us in ourselves. And that can provide us with the energy, and the perspective, to rebalance our lives and move us away from that overwhelmed place. Here’s the bottom line, really: spiritual practice isn’t just another activity. It belongs in the same category as breathing, eating, and sleeping. It is what keeps our soul oxygenated, so that we are truly able to live. It is so easy to become involved in church activity that we forget to make a distinction between, say, a committee meeting or social event and worship or spiritual practice. And, it is often the church’s fault that this happens because, like other organizations, we want to appear to be active. But, in the end, that is not what we are called to do. Our calling is to open the Spirit’s window and let souls breathe. I don’t usually post anonymous comments, but this is important: often, that courtyard time after church does include these things — and probably too much. But, of course, there are other, lovelier things that happen in the courtyard, as well. But if what’s happening in the courtyard is becoming a problem for someone because they need a break from the busy-ness of church, I recommend trying the 8 am or the 5:05 pm…..and, I’ll certainly see about what I might be able to do about this from my end. Perhaps we need a bit of a sabbath from all the recruiting efforts…..
Well said. Thank you for the timely reminder. This is a wonderful message and to me it shows the grace of God. I feel more centered and refreshed after reading it. Our church activities are very good, but it’s through our spiritual practices that we’re united with the source of all life, and hopefully this will permeate everything we do as a community. I’ve heard it said that we should pray as if our life depends on it…… because it does. I now fully agree with this, although before I came to Trinity I don’t think I really knew what prayer was. I’m deeply grateful for this amazing gift.